Should You Bank on a Solar PPA? Are you a commercial business or property owner looking to make the switch to solar and boost your bottom line? Studying every financing option available to your company or organization should top your list of “to do” items before signing any solar contract or agreement, no matter how enticing the numbers look, or how persuasive that sweet-talking project consultant is. From low-interest, long-term loans, to leases and PPA’s, to an outright cash purchase, there’s really no shortage of ways to pay for a commercial solar PV system. However, solar financing (especially of the commercial kind) is an ever-changing, often complex landscape that requires due diligence and always, always…the right questions. One of the solar financing models you will run across in your research will be called a commercial solar PPA (sometimes SPPA), short for solar power purchase agreement. It’s a long name, but a rather straightforward concept for commercial businesses and public entities including government agencies, schools and churches. In the plainest of terms, a PPA is a financial agreement where a business can buy the solar power from a provider/developer with no (or very low) upfront capital costs, but not buy the equipment. It’s a simple, yet unique way to utilize the benefits of going solar without the risks or the ultimate responsibilities of being a system owner/operator. Experience the Benefits of Taking Your Business Solar And Avoid the Associated Risks. What that means is your provider will arrange for and manage, every detail of the process including design, installation, operations, monitoring, repairs and even maintenance, leaving your company (and you) to spend time on your core business goals/aspirations. In an ideal world where you have chosen well, you’ll be able to think of your PPA provider as a solar power, one-stop-shop who will relieve you of the inevitable hassles, risks and worry that can sometimes accompany switching to solar energy — especially on a large-scale commercial project. The PPA agreement you enter into will have a pre-determined per kWh hour rate (the same kind of measurement unit used on your utility bill), and will generally be at a lower cost than what you are currently paying. Typically, these agreements can run anywhere from 5-25 years, and you will start to see the savings immediately i.e. no waiting for that meter to start spinning backwards! 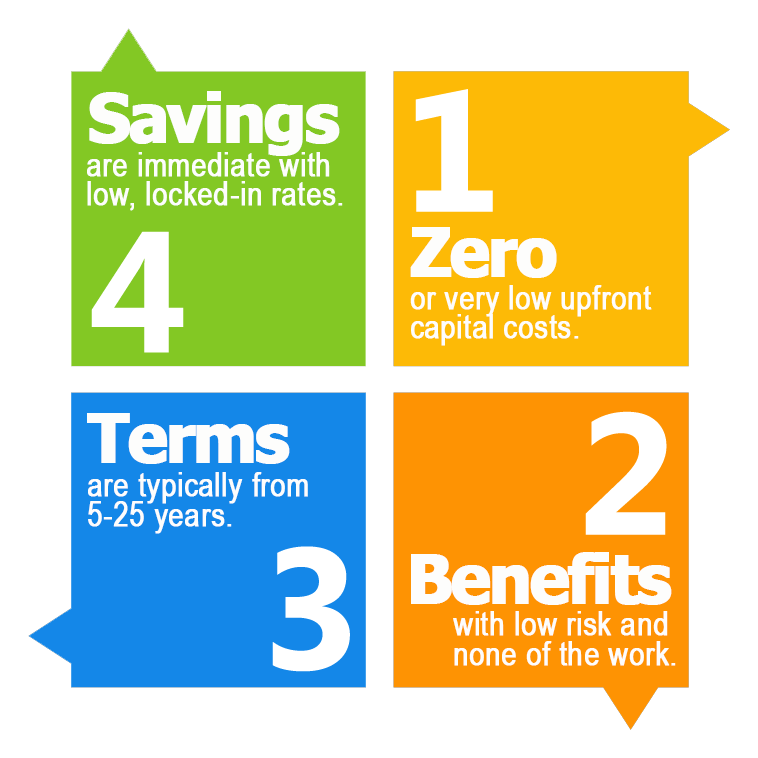 You’ll experience almost all of the benefits of taking your business solar with very few risks. Too good to be true? That greatly depends on your needs, your expectations, your creditworthiness, your site specifications and your overall financials. It will also depend on the PPA solar provider you hire, but we’ll get to that in a moment. What are the Actual Benefits and Bummers of a Commercial Solar PPA? No Cash Outlay: Typically, zero or very low capital investment (no upfront cost). Immediate Savings: No waiting for savings to start — electric bills will be cut immediately which means your bottom line will be boosted from the beginning. Predictable Costs: Reduced energy costs that are locked in and predictable with either a fixed escalator plan (rates that rise at a pre-calculated cost…generally 2-5%) or with a fixed PPA plan (rates that won’t fluctuate for the life of the agreement). Added Value: Studies show that solar power adds value to a property. That’s a fact! Off-Balance Sheet: A Solar PPA is an off-balance sheet financing option. Limited Risk: Limited responsibility or risk for things like performance or production issues. Worry-Free Production: Maintenance? Nope, not your problem. Established Model: A PPA is a well-known, well established solar financing model having been used by some of the largest companies in the world, including Walmart. Branding/Marketing Opportunities: Your PPA-financed solar will be a big boost to corporate or organizational perception/branding…with solar you will be seen as an innovator, a trend-setter and more importantly, a friend of the environment. Cash Costs Less: Purchasing solar outright vs. via a PPA will often cost less long-term if you can swing it. Savings can be less than with other options. Long-Term Obligation: A solar PPA is a long-term obligation… like a marriage. If you’re not sure, don’t say yes to the dress. No Ownership: While this can be a pro, it can also be a con. With a PPA, you won’t own the equipment, so you won’t get to be the boss of it. Or anything. If you’re a control freak, a PPA may not be for you. Site Work: Is your site ready for solar? If not, any site upgrades or repairs needed to get a system up and running on the property will be your responsibility (and your possible headache). Property Tax: While solar can add value to a property, it can also potentially add a property tax increase. Overages: Be wary of companies that bill for year-end overage charges. No Incentives: You won’t reap any of the incentives, tax credits or REC’s. Availability: Solar PPA’s are not available (or legal) in several states. Sales Hurdles: A solar PPA could also become a bit of a hurdle (possibly) should you decide to sell your property/business depending on the fine print or transfer offers available to you. So, You’ve Made Up Your Mind. 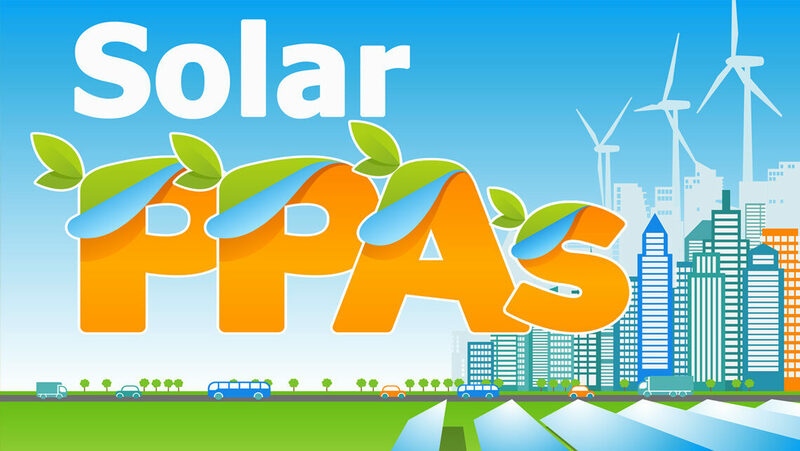 Now…How Do You Choose a Solar PPA Provider? We’ll make this short and sweet: Get quotes from at least 3-5 providers, carefully review the agreements and the pros and cons specific to the provider’s local company, as well as the contract in front of you before signing on the dotted line. Remember, this is going to be a relationship that has to last for the long haul. Choose an energy partner that you might still like to hang out with in 5-25 years. But You Want a Solar Soulmate? The Best: Look for a provider who will use the absolute best solar products, materials, equipment and components. Cheap knock-offs will not cut it. Stand your ground; this is your deal breaker. Financial Strength: Look for a provider with the financial strength to handle your project and any challenge it may bring. Company Culture: Look for a provider with a company culture built on customer care – one with highly skilled and qualified leadership, technicians and office support staff. Warm and fuzzy is nice, but meticulous, honest, experienced and communicative is the winner here.  Close Relationships: Look for a company who can show you that they have strong, long-term and close relationships with the top solar manufacturer’s in the industry. You want a company that’s taken seriously by the movers and shakers in solar. Asset Management: Look for a provider experienced in solar asset management with the capability (and mindset) to handle all installation, operations, monitoring, repairs and maintenance in-house (a one stop shop). History: Look for a provider with a long, local history — a company you believe will be around for the long-haul, for better or worse, through thick and thin, and through all of the inevitable ups and downs of the U.S. economy. All Options: Look for a provider who will work with you side-by-side to review every one of your financing options when it comes to the installation of solar, including one who will guide you down a different path should a solar PPA not fit your needs. End-Of-Term Offers: Look for a provider who will remove your solar system at no cost when the PPA comes to an end, or offer multiple end-of-term options including rate negotiations or a fair market system purchase offer. We hope this short, but handy guide to commercial solar power purchase agreements has helped you better understand PPA’s as a solar financing option. Analyze the needs of your company or organization, do your research before entering into any PPA agreement, and above all else, please shop around! The best solar providers won’t always be the shiniest, slickest-talking ones around town, but they will be the ones that are still there for you when you need them. You can bank on that, PPA or not.